Today is the 30th anniversary of the ill-fated TV experience known as the Star Wars Holiday Special. 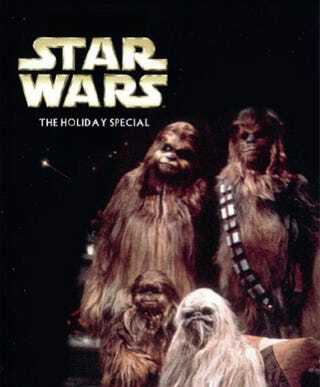 Featuring a group of Wookiees trying to celebrate the holidays while being hassled by Imperial troops - along with song-and-dance numbers and comedy bits in a variety show format - the two-hour special was deemed so hideous that it was never aired again. Luckily you can celebrate this day of infamy with a little help from Shawn Moynihan, managing editor of Editor & Publisher, who has sent us a little song . . .